Complimentary parking through Four Seasons valet only. The Four Seasons St Louis is partnering with James Beard Award winning Chef Gerard Craft to bring you Cinder House. The menu centers around the kitchen's wood-burning hearth. Located on the iconic 8th floor of Four Seasons Hotel St. Louis, Cinder House showcases sweeping views of the Gateway Arch and downtown skyline. 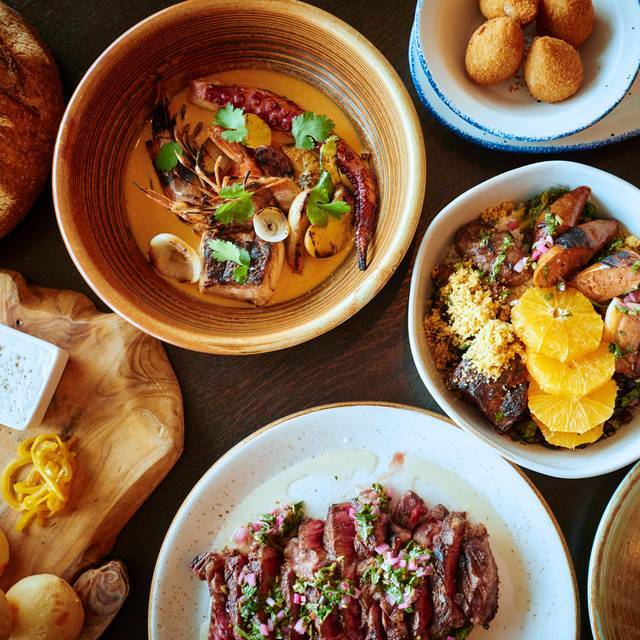 Craft’s focus on simple foods with bold flavors is highlighted throughout the menu and includes several steak selections and rotating grilled items. From grilled pickles to grilled lamb ribs in soy, lime and garlic with a mango-honey glaze, dishes feature enticing techniques and flavors. Dine indoors with warm wood and stone interiors or venture out onto the new outdoor lounge and upbeat bar area. Great experience for my girlfriend's birthday, service was great, and the waiter was extremely attentive. The whole staff including the manager went out of their way to make sure she felt great on her special day. I greatly appreciate the service and the food, will definitely return. Amazing food and drinks. The trout was superb. Steaks were cooked to perfection. The polenta was smooth,rich and so tasty. Our server was froendly, helpful . She nade the evening perfect. My first time at Cinder House and it exceeded our expectations. Would highly recommend this to friends and family. My wife and I greatly enjoyed our meals. However our guests struggled to find anything that they wanted to order on the lunch menu. The menu was very limited and not conducive to a wide variety of tastes. What was offered on the menu, however, was excellent. This is a very fixable problem. The service we received was the best we have received in a long time. Our server couldn't be better. For the price the brunch was very sub standard. There was little selection and low quality. The service was absolutely appalling. Rude, inattentive and completely disrespectful. Amazing brunch, but for this price point all drinks should be included. As far as the brunch menu, although the rice and beans were lovely and delicious, these being two of the 6 burners made me also think that the price point was not worth it. The old brunch at Ceilo was well worth it with all inclusive drinks and amazing sea food options. 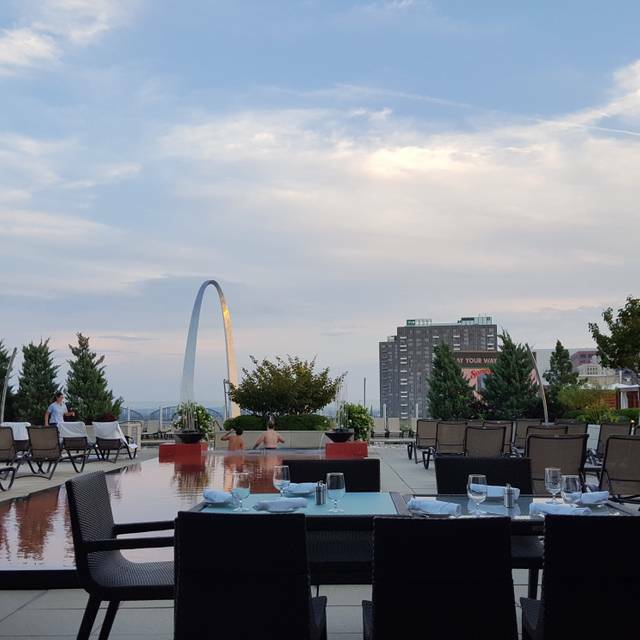 Restaurant ambiance, views of the Arch, and wait staff were all top notch! We’ll try again when the hotel/casino adopts a full NO SMOKING policy. The smoky environment (with air freshener attempts to mitigate) is evident even on the eighth floor restaurant. No thanks! We went for our first visit, and were not disappointed! Had the garlic cheese bread- yummy! Then kale/cabbage salad and butternut squash soup. Both were delicious. Entree's were amazing- risotto, mixed meats/kale/rice bowl, and lamb chops. Sides of polenta and glazed carrots were also wonderful! Will definitely return for another visit. Love Gerard Kraft's restaurants! We dine out all the time . One is the best meals we have ever had...seriously! Can’t wait to go back! Wonderful experience. Everyone was very friendly. The food was delicious. Definitely planning on returning. Really nice views when its warm outside. Brunch was really good. Second time doing brunch at Cinder and they did not disappoint. Great service, very attentive. The location is great with a view that’s hard to find anywhere else. And the food was excellent with great selection great flavor. Will recommend to everyone I know and look forward to returning soon. Feijoada - very promising. Rice and beans very tasty. Way too salty!! Piri piri chicken - my wife's choice - very salty. Please do not publish this because we are coming back, for sure. Fantastic customer service, great views, and delectable South American cuisine. Perfect date night. Very cool vibe and food is outstanding Great live band! Best steak ever. Loved all the sides and small plates. I had a big table and we all wanted to try everything. Loved the table bread kinda better than the featured rolls ( just my prefrence) but everyone else like the rolls. Most all of us had steak, melt in your mouth good, Trout wonderful, Chicken a bit salty if you did not"dip" in polenta- the way chef recommended. We had a birthday person and she was treated to the most wonderful/beautiful dessert. 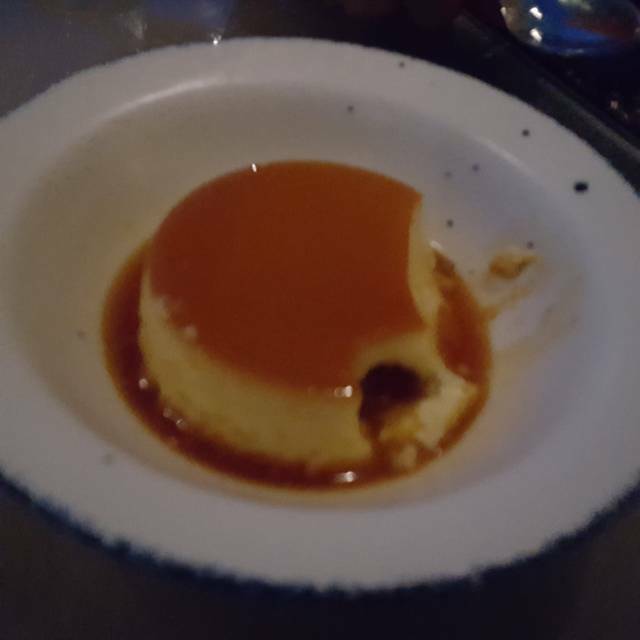 I was so full I could no enjoy dessert, although we ordered 4 desserts. We loved everything about our experience at Cinder House. The view is the first thing you take in, and it’s sweepingly dramatic. The hen-of-the-woods appetizer is a must for mushroom lovers: meaty, savory, intriguing. The green cabbage/Brussels sprout salad was refreshing and generous enough to share. My husband enjoyed the complexity of the feijoada and I had the tira de asado short ribs with carrot mole on the side...smoky and tender. For cocktails, the charred lime caipirinha is a delicious twist on Brazil’s national drink. 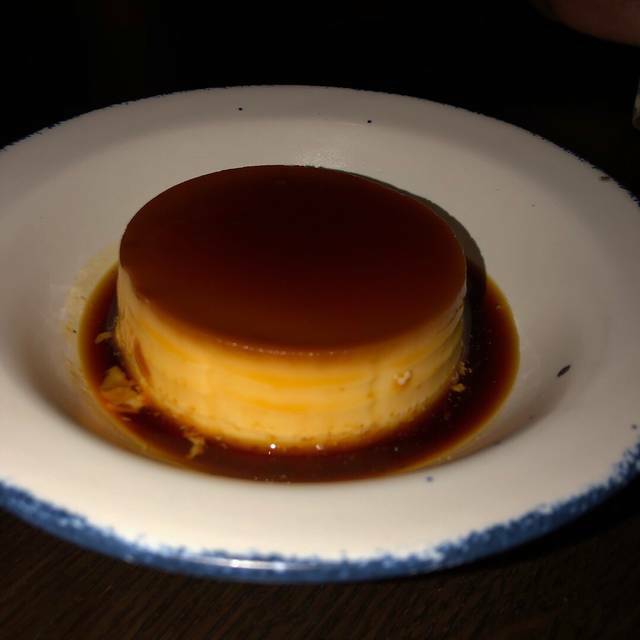 Service was excellent and we appreciated the celebratory touch added by the traditional flan with maldon salt. We heartily recommend Cinder House, and will return. My wife's filet was slightly undercooked. It was also bordering over seasoned. I had the Feijoada (sp?) The meat in the dish was very tender, but not very flavorful. The black beans in it were outstanding! We order tres leches chocolate dessert, it was very good. The ambiance was upscale but extremely loud, even with the restaurant 2/3rds capacity. The view was fantastic. We would try it again during warmer weather to experience outside as well. Food was fabulous and our server was very helpful and attentive. 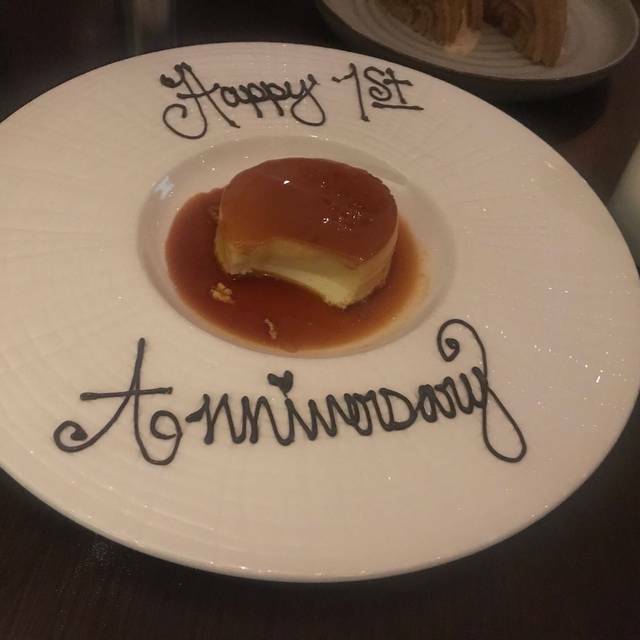 It was our anniversary and our server Grove went above and beyond to make me and my wife feel special! I would recommend the Cinder House to any one that’s looking for great dining experience! limited menu selections and uncomfortable seating. Food and service were good, really enjoyed the evening. 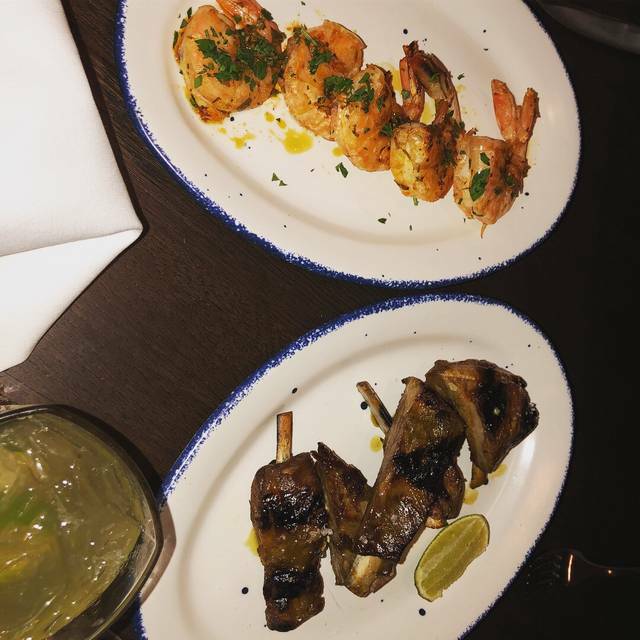 Excellent service, amazing food, wonderful experience! Our experience at Cinder House for dinner was disappointing. Service, view, and ambiance were great. The food was very salty and not quite what we expected, especially for the price point. Yup. I would fly to St. Louis for the feijoada. Pretty much all there is to say. Delicious food! Great service! Beautiful view! Absolutely delicious food. From the salad to the meat...just wonderful. Great food and great service. Ordered the lamb appetizer, followed by feijoada and trout. Servings are large. Had an excellent Chilean red recommended by the server. Finished off with delicious sorbet and mousse. No complaints. Will definitely recommend and come again. Btw, the sourdough bread was also excellent. Excellent bread! Excellent food! Excellent view! Excellent service! 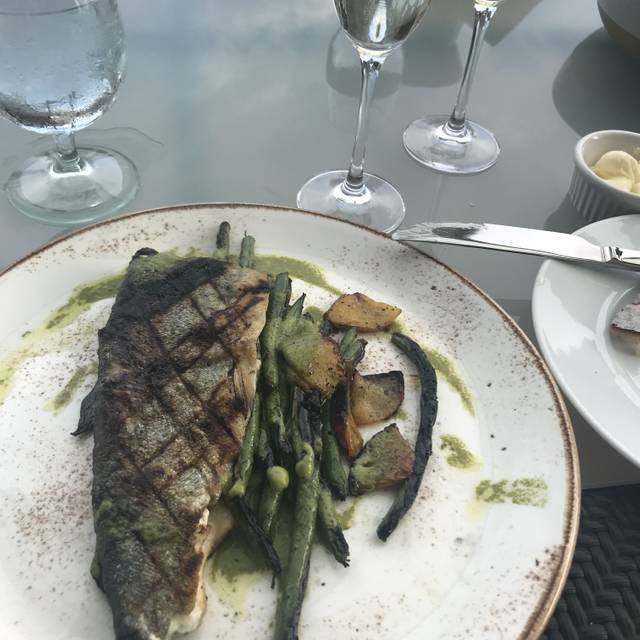 My husband and I were in St. Louis and guests at the Four Seasons for a long weekend. We had lunch/dinner at other restaurants and thought the food was very good. One night we decided to have dinner at the Hotel's Cinder House and were both very disappointed. To start my husband ordered 3 different bottles of wine because they did not have the vintage offered. In the end we opted for a suggested wine and it was good but not what we would've chosen but worth the offer of a discount for the inconvenience. The wait staff were exceptional! The 2 different salads sounded good but were wilted and lacking taste. He had ribeye and I had the Lamb chops. Both were okay but not worth the price. If you want a spectacular view but mediocre food, then The Cinder House it is! Regardless of the convenience, we both agreed another time to enjoy the view with drinks and some appetizers instead. This has to be the noisiest restaurant I have ever been to in my life. Not a little noisy, over the top to the point we had to lean in at a table of four to even hear each other. The restaurant backs up to the bar, which is really loud and we actually sat at the table that was furthest from the bar. The food was good, not great. On a positive note the salads were huge, easily spilttable if you'd like. Three out of four had the piri piri chicken - very good and very spicy. I had the feijoada which was very fatty; the flavor itself was very good. Drinks, $21.00 for a martini - no special vodka or anything just Grey Goose. The net is we are fortunate in STL to have many great restaurants (including others from Gerard Craft); I would put this one way down the list of places to go. My husband and I made a trip to Cinder House for a special night out. The bar was busy that night (more about that in a moment). It took forever to get our first cocktail after ordering. The food, generally speaking, was good. 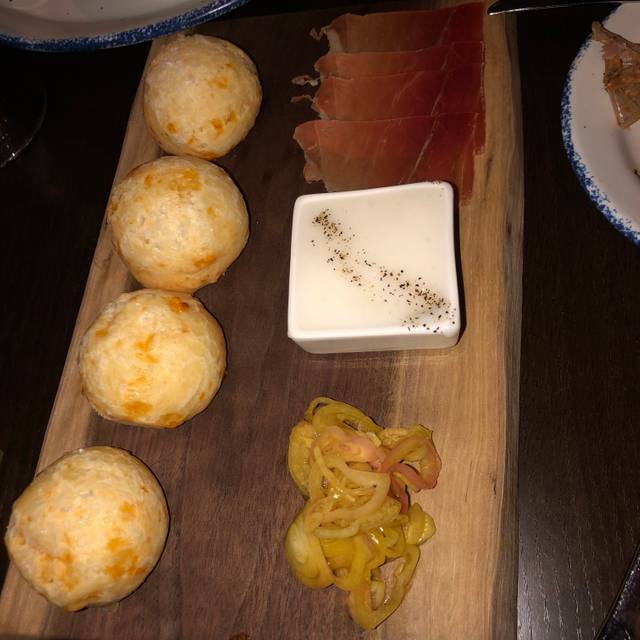 We started with Coxinha. Delicious. We both had gem salads. The dressing was quite good, making this a very enjoyable dish. The bread service arrived late, but I’m glad we eventually got some; the bread had. Delicious, crunchy crust and a soft, airy interior. I wanted to try something different so I ordered the Feijaoda. 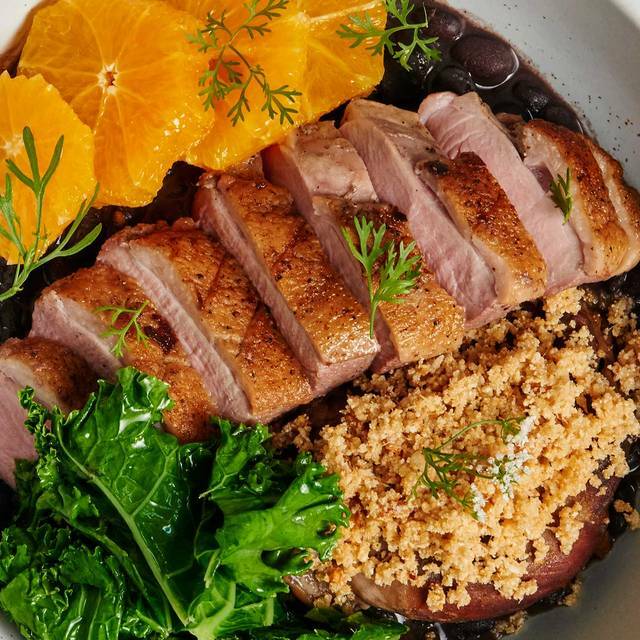 It is billed as various cuts of pork, braised beef, with black beans, rice, kale, chimichurri and orange. Most of the pork in my serving was inedible, either all fat or ribs so tough that I couldn’t separate the meat from the bone. The brisket was passably good. The oranges were delicious. All in all, I wouldn’t order this dish again. My husband ordered a filet, which was very good. The accompanying sauces made this menu standard a little more special. There was a group of 20 somethings in the bar. They were obnoxiously loud. So much so that the assistant manager, Matt, came over to our table to share that he had warned the group to tone it down or they would be asked to leave. We appreciated that. Matt also noted that my husband had used all of the Hollandaise that came with his steak and brought out another serving. Nice touch. I’d give Cinder House a 5 out of 10. Food was excellent. Very noisy but has a sort of hip nightlife/club vibe. Beautiful view of downtown/arch/river. Wine service is not what I would expect from a restaurant of this caliber. Excellent! The food was beyond great and the service was outstanding. I can’t say enough good things about the experience. Our experience at Cinder House was nothing but exceptional. My girlfriend and her daughter are Brazilian. Agreed that it was not only authentic but exceptional. The feijoada was amazing and the seafood stew was as delightful. She said the Caipirinha was as good as she had had in Brazil.